Located in the New Mexico region, Willard is a town and its area, population and various key information is listed below. For all your administrative procedures, you can go to the city hall Willard at the address and times indicated on this page or contact the town hall’s reception by phone or by email depending on your preference or the information available. Willard satellite image: Willard town from the sky! Located in the quiet town of Mountainair, in the heart of New Mexico, Turner Inn & RV Park offers rooms with a microwave and refrigerator. The Ranger Station Picnic Area is 2 miles from the property. This original Route 66 motel in Moriarty has been owned and operated by the same family since 1958. Its rooms feature vintage décor and furniture and have free Wi-Fi. Guest rooms at the Sunset Motel Moriarty also have cable TV. Just a 2-minute drive from the Moriarty Civic Center, this hotel offers classically furnished rooms equipped with a cable TV and free. Facilities include an indoor pool and on-site business center. 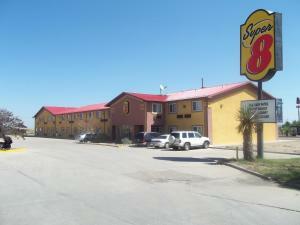 Located off Interstate 40, this motel is 4 miles from Clabolo National Park. It features a daily continental breakfast, free Wi-Fi and pet-friendly guest rooms. Rooms offer cable TV. Located just off Interstate 40, this Moriarty motel is 1.2 miles from the Moriarty Museum. It serves a continental breakfast every morning and features free Wi-Fi access. A microwave and a refrigerator are included in every room at Super 8 Moriarty.